For a copy of the Insurance Policy, please send an email to acriswell@cbcprimeproperties.com. Townhomes: Grounds maintenance, trash, insurance, exterior maintenance, fences and Irrigation water. 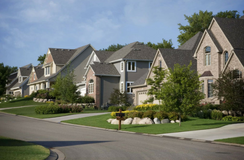 Single Family homes: Landscaping, insurance for common grounds and Irrigation water. If you would like to notify the HOA of a maintenance issue, please submit a detailed work order request to acriswell@cbcprimeproperties.com.